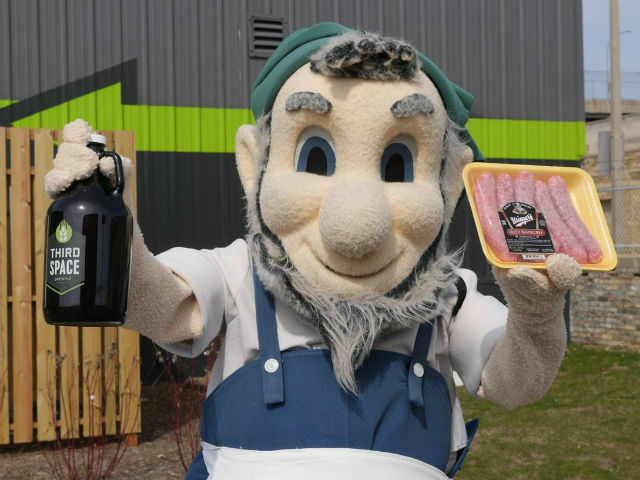 Third Space is partnering with SipMilwaukee and Usinger’s to launch the Growler-Sausage Drive-Thru for baseball fans heading to Miller Park to tailgate April 21-23. The seven-month-old brewery announced the drive-thru Monday in a news release, and OnMilwaukee reached out for some additional information about this one-of-kind event. The Growler-Sausage Drive-Thru will operate for one hour prior to the Brewers’ upcoming home games against the Cardinals on Friday, Saturday and Sunday (times are below). Cars will pull into the Third Space parking lot – the brewery is located just off I-94 between Downtown and the stadium, at 1505 W. St. Paul Ave. – place their orders and soon be on their way with Milwaukee-made beer and brats, the two most essential ingredients for a successful Miller Park tailgate. Two of Third Space’s most popular core beers will be on sale as growlers at the drive-thru – the Upward Spiral IPA and Happy Place Midwest Pale Ale (also available as a six pack), both of which are also offered at Miller Park this year. Happy Place growlers are $20 and Upward Spiral is $23, with the Third Space jugs able to be refilled at a reduced price. While only those two beers will be available at the drive-thru, all of the brewery’s craft growlers can be purchased inside at the bar. Usinger’s sausages will be sold at a discount – $4 per package or two packs for $6. 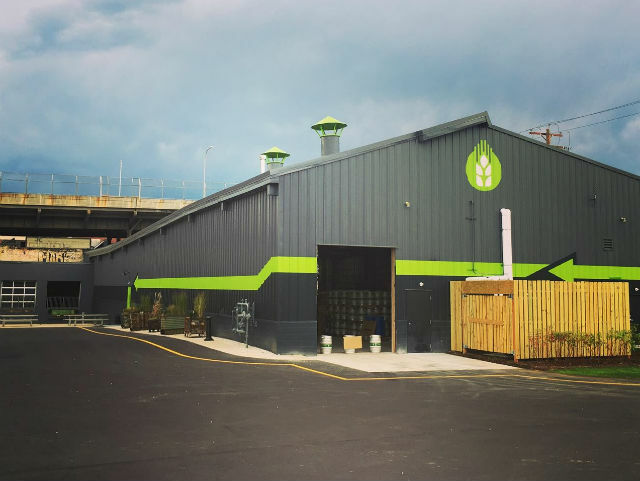 Gehl said staff members will be on site to direct cars during their pit stop, and Third Space has devised plans for the flow of traffic in the drive-thru so as not to impede other customers who are visiting the brewery. Third Space has worked before with SipMilwaukee on a video marketing campaign for the brewery. Helping organize and document the launch of the drive-thru, SipMilwaukee will officially kick off its online video series and social media movement, “The Rebirth of Brew City,” in collaboration with the event. The new series tells the stories behind Milwaukee’s beverage brands – from beer to coffee to spirits – and emphasizes the current craft brewing boom.